Good day to you my crafty friends!! Welcome to Mrs. Lincoln's Inkin'!!! I am super excited for this week, it is Color Coach week. All week i am going to be sharing a project with you that i made using colors from the Color Coach. 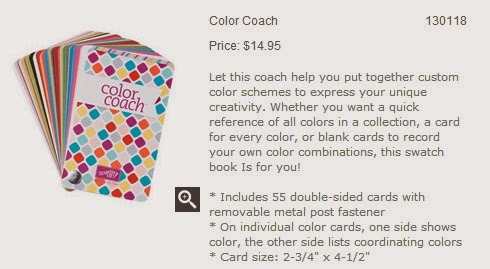 The Color Coach is a newer product to my collection however i have to say I LOVE IT!!! I can't even describe how much. If you are anything like me you tend to find colors in the SU! collections that you really like, so you tend to be drawn to those colors, forgetting to use any of the others, lol. This really allows you to go outside of your comfort zone and use colors together that you probably wouldn't of thought of using together. The colors that i used today are Tangerine Tango, Tempting Turquoise, and Old Olive. My card measures average size of 4 1/4" x 5 1/2" with my base being Old Olive. I then used the new Hexagon Hive Thinlits Die , which is in the Occasion Mini right now, and cut that out in the Tempting Turquoise. 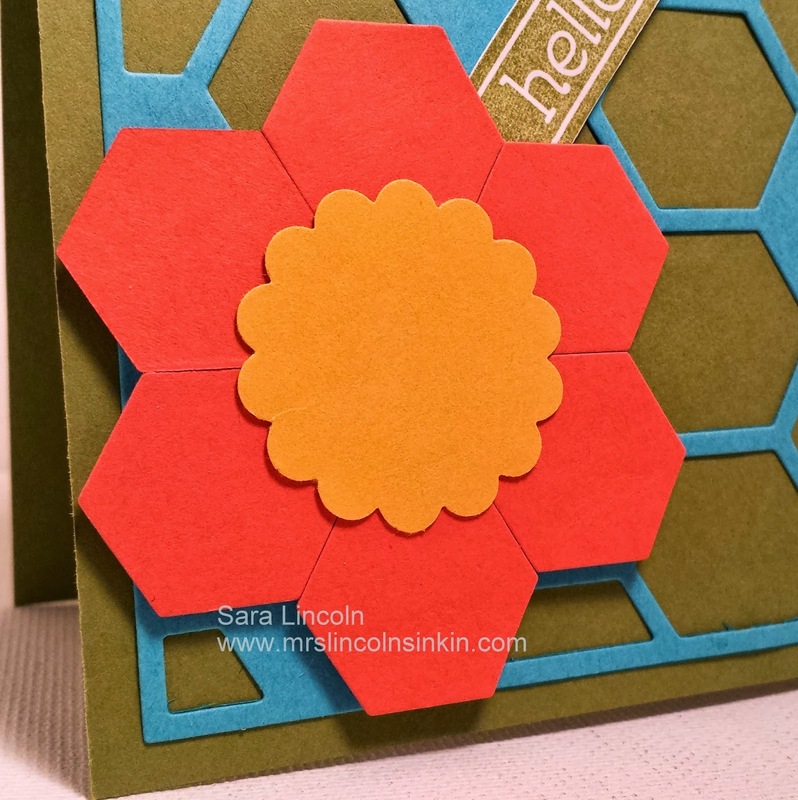 For my accent and really the vocal point of my card i used the Hexagon Punch to make a flower. I think it is sooo cute and i love the way it turned out! This is where my third color came into play, Tangerine Tango. So, you would think that the item i would be showcasing today would be the Color Coach, but since that is an item i am going to be using every day, i wanted to showcase some of the other items that i used in today's card. 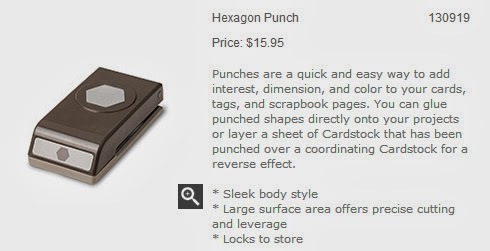 Today i am sharing 2 with you and that is the Hexagon Punch and the Hexagon Hive Thinlits Die.